Many new smartphones were released in 2018 by each mobile phone manufacturers such as Apple, Samsung and Huawei. 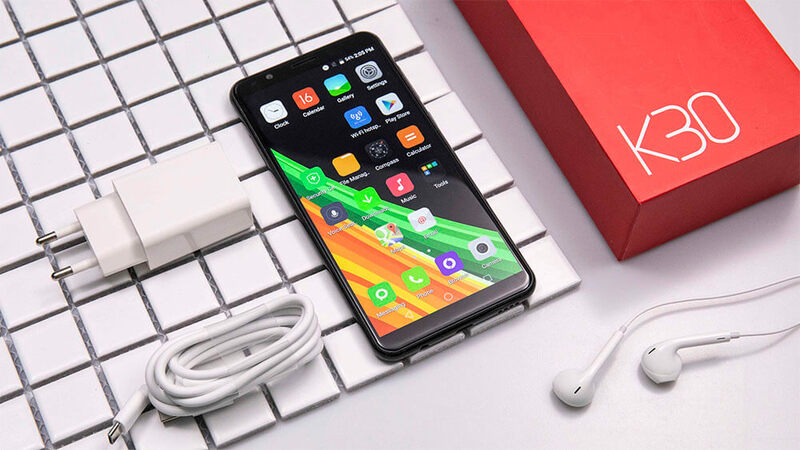 Their smartphone’s design, performance, hardware or others are really very good, but the price is also very expensive, if you are looking for a low budget smartphone, those brands’ mobile phones are not good choice. Though they have many budget phoneswere released, but there are too more to choose, and with their brand influence, your smartphone may not good value for money, so how to choose a best budget smartphone in 2019? KXD will give you a all-round buying guide for budget android smartphone. We’ve collected seven excellent budget phones for you to choose from, we’ve also included some handy buying advice to help you find the best cheap smartphone for you. How to choose the best low budget android phones? As we know, most mobile phone’s flagship smartphones are the best, they’re lightning fast, well designed, and offer a ton of extra features. But they come at a cost, and that cost is a lot of money. If you choose KXD flagship smartphones, this is not a case, KXD is a budget mobile phone brand. There’s a bit of a trend forming in the budget smartphone space. KXD is dominating almost every price point at the moment. If you’re looking for an alternative to one of those expensive handsets or the best smartphone for kids, for example – KXD got you covered. KXD don’t scrimp on hardware, design, or features. We’re only recommending the cheap smartphones we’d be happy to use. We think just because you’re paying less, doesn’t mean you should have a phone that feels cheap. Here we list 7 best budget smartphone 2019 for you! By the way, if you want to get a good case for your phone, this lukecase is a good choice. The KXD K10 is a stunning budget smartphone. The camera is perfect for lighter wallets – the quality of images are amazing for a phone this cheap – the design is fabulous, with an 18:9 display, 3300mAh large battery mobile phone, 13MP+5MP camera, fingerprint and 32GB ROM+3GB RAM. The KXD K10 is the very definition of the budget smartphone and, at this price, there’s simply nothing better. K10 has rose, golden, black, blue four colors for choose, you can choose your favorite color smartphone. Fingerprinting, as fast as 0.1 seconds. Read our KXD K10 Full Screen Premium Flagship SmartPhone Review for more details. KXD K30 is much more feature-packed than the lot of them, with an 5.7 inch 18：9 HD full screen, Octa-Core Processor 4G LTE, 3GB RAM 32GB ROM. And that’s not all, the KXD K30 Lite’s 8MP+2MP dual rear camera mobile phone is excellent, capturing crisp well-defined details for your Instagram vanity shots. And the 3000mAh battery into the slim body of the K30, and with our battery saving optimization, you will never have to worry about charging and just enjoy your on-the-go lifestyle. KXD T50 uses an 18:9 FHD+ Ultra-wide field of view with a screen size of 5 inches mobile phones. Besides, we also have designed a more special interactive mode for this screen. With a18:9 screen design, your horizon has become even wider. 8mp+2mp dual camera, you can enjoy pure photography, share your selfies to the rest of the world. KXD T50 with a much better camera and a fingerprint reader, too. The 2000mAh battery life is a tad short, but performance is decent enough for a phone at this price. The KXD T50 is so dirt cheap that it’s almost impossible to pass up. KXD T55 is an impressive budget phone in its own right, it is a 5.5inch mobile phone which manages to pack in a massive 18:9 Full HD+ display, with an impressive 2500mAh battery life and a design that looks like you’ve paid twice, or maybe even three, times as much for. The 5MP primary dual rear camera it’s not quite as adept at photography, but if you aren’t an avid selfie-snapper, the KXD T55 offers tremendous value for money. KXD W50 is powered by a fast and efficient quad-core processor running at 1.3GHz with 1GB RAM and 8GB ROM, delivering smooth experience for everyday use. What’s best is that the 5.0 inch 16:9 display is a perfect balance for you to look at, and hold. It adopts IPS technology which enables wider viewing angle and crisper images. W50 features two micro SIM slots and a microSD card slot for expansion of up to 64GB. So stay connected on worldwide 3G network and never worry about running out of storage. KXD W50 is the latest budget smartphone is as worthy of an entry as its many other handsets. It’s well-priced and edges out from the rest in key areas such as display and performance. The KXD W55 is a superb choice provided you can find one in the India that is. KXD W55 is a metallic brushed metal texture smartphone, the 5.5 inch 16:9 display of the W55 is bright and vibrant, 2500 mAh All day big long life battery support 12 days standby time, 20 hours talk time, 120 hours music playback, 6 hours video playback; W55 is powered by a fast and efficient quad-core processor, with 1GB RAM and 8GB ROM, delivering smooth experience for everyday use. KXD Y20 is a full screen mobile phone, it is equipped with a whopping 3,600mAh battery, the Y20 can last, on average, for about a full day of extensive use. support 14 Days standby time, 22 Hours talk time, 140 Hours music playback on a single charge. KXD Y20’s Li-Po battery provides up to a high density of 650 Wh/L, 35% higher than common ones. It also features 600 battery cycles which means it can still retain 80% of the rated capacity after 600 full charge/recharge cycles. The KXD Y20 packs a small but powerful and fast and efficient octa-core processor, and equipped with 3GB RAM and 32GB ROM, outperforms it’s predecessor by up to 40%, delivering smooth experience. Another major draw lies in the phone’s outstanding picture quality. The KXD Y20 features a 5MP front camera and a dual rear camera with 8MP+2MP, with a 6-inch display occupies almost the entire front. With 18:9 ultra wide aspect ratio, 144×720 HD + IPS super clear & wide viewing angle and RawColor display enhancement technology. By squeezing a 18:9 full screen into the body and slimming down the bezels, we created a 6 inch phone with a handfeel of a 5.5-incher. Even though the Y20 is featured for best battery, it’s certainly not the phone’s only pro. The display and camera are very good of the low budget mobile phones. Which one do like best? You can leave your comments here, thanks! Previous PostKXD Mobile to Increase The Use of Recycled Aluminum in Its Phones!Next PostWhat’s the future of smartphones in 10 years?